If you’re under the impression you can’t get a freshly cut Christmas tree in the bustling Bay Area, we’re happy to inform you you’re wrong. In fact, our community’s tree farms and lots offer some of the freshest trees around. Seven places on our list offer choose and cut trees which means you can cut your own tree on-site at the farm! 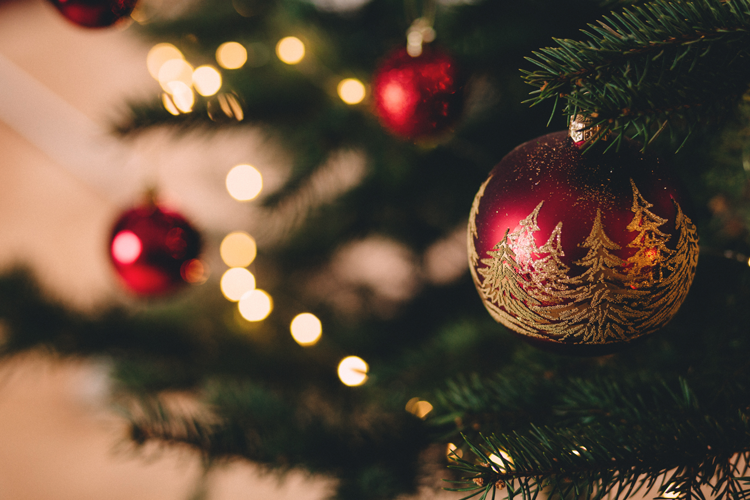 So whether you’re looking for a new holiday tradition or you’re just shopping for a pre-cut tree, we rounded up the places you can do both. The list includes lots in the heart of the city, lots benefiting nonprofits, businesses that offer tree delivery and huge family-run farms just a quick drive outside San Francisco. Enjoy! Alhambra Christmas Tree Farm began in 1969 and the Scheberies family has continued the tradition of offering some of the most outstanding trees, wreaths and garlands in the region. At their Alhambra Valley location, they offer six different varieties of pre-cut trees and they also offer opportunities for you to cut your own! Serving the East Bay since 1958, Brent’s Christmas Trees is still a local, family-operated business to this day. US Army Veteran and Owner Brent plants upwards of 3,500 seedlings per year on his farm and in the Sierra Mountain range then cuts down less than 50% of them to promote sustainability while providing great, locally-grown trees. Coming from Northern California and Oregon, the last cut of trees is usually delivered around December 14th so be sure to get to Brent’s early in the season! They have two Oakland locations and one lot in Alameda. Located just north of Castro Valley, this local tree farm offers pre-cut trees and trees you can cut down yourself on the grounds. In 2018, the farm is open beginning November 23rd with varying hours Wednesday through Sunday. Come by to get the freshest trees in the Bay Area: the kind you cut down yourself! This Bernal Heights tree lot is a multi-generational family business that has been setting up shop in San Francisco since the mid-1960s. In 2018, this location will be open from November 18th through December 24th every day from 9 a.m. to 9 p.m. They offer flocking and fireproofing and they’ll have two huge tents set up so you can stay out of the rain. A popular stop every fall and winter, Clancy’s transforms from a pumpkin patch into a tree farm every Thanksgiving. Shipments of trees are delivered as often as three times a week during the season and every tree is hand selected. Feel free to bring your dog along because this Inner Sunset lot offers fun for the whole family. Every year, Clayton Valley Pumpkin Farm closes up shop after Halloween and reopens after Thanksgiving as one of the best tree farms in the region. In 2018, they’re open from November 23rd until December 16th with hours every day of the week. Their trees are grown in Washington and shipped directly to the farm during the Christmas season and the team offers flocking, fireproofing, baling and delivery. Delancey Street is the country’s leading self-help organization for former substance abusers, ex-convicts, homeless and others who are struggling in our communities. Each year between Thanksgiving and Christmas, they operate tree farms in California, North and South Carolina, New York and New Mexico where their residents can learn the basics of sales, design and building. In addition to trees, each lot sells mistletoe, indoor tree lights, decorated wreaths, living potted pines, tree removal bags and water bowls. This Sebastopol farm offers much more than just a Christmas tree. During the weekends you can meet farm animals, enjoy an old-fashioned hayride around the farm, spend time shopping in The Old Red Barn, and then choose and cut down your own fresh tree. Open on weekdays too, they’re operating from November 23rd through December 17th in 2018 and offer tree cutting every day. Garlock Tree Farm has been creating and fostering family traditions in the Bay Area for more than 50 years. On their ten-acre farm, you can shop pre-cut trees, choose and cut down your own tree, shop decor and refreshments, embark on a complimentary horse-drawn carriage ride, and enjoy a candy-cane jump house, petting zoo, Santa visits and pony rides. Bring your whole family, the dog included! Grandma Buddy’s tree farm was originally planted in 1982 after years spent as an apple orchard tended by Grandma Buddy herself, Hazel, and her husband Gilbert. Though Hazel passed away in 2006, her lively and hardworking spirit are still a part of the farm and it is still family run to this day. 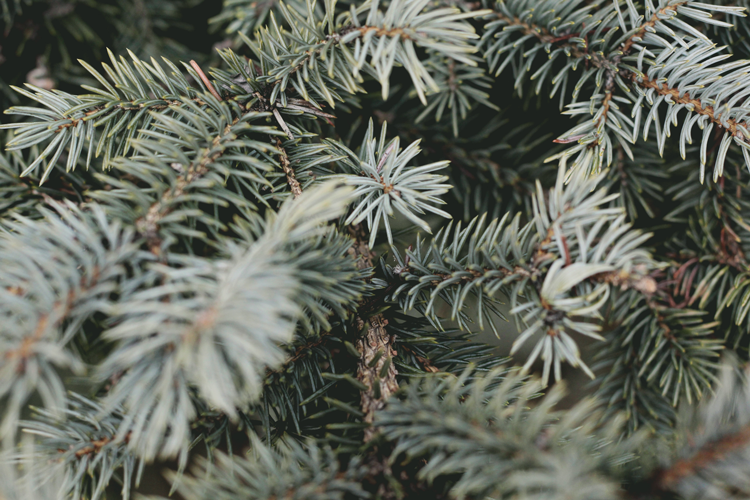 They offer pre-cut trees shipped from Oregon, choose and cut trees grown on-site as well as garland, designer wreaths and complimentary candy canes and hot chocolate! The Guardsmen is a San Francisco nonprofit serving to benefit and enrich the lives of disadvantaged children in the Bay Area. Every year since 1947, they’ve popped up shop at The Guardsmen Tree Lot. The members of this all-volunteer organization take time away from work to don green jumpsuits, drive delivery trucks and get their hands dirty handling and standing Christmas trees to benefit the youth of our communities. In 2018, you can find the lot in the Festival Pavilion at Fort Mason every day from 9 a.m. to 9 p.m. between November 24th and December 14th. You’ll find year-round family fun at Lemos Farm, including a spectacular pumpkin patch during the fall. But when the holiday season rolls around, the farm turns into a winter wonderland! 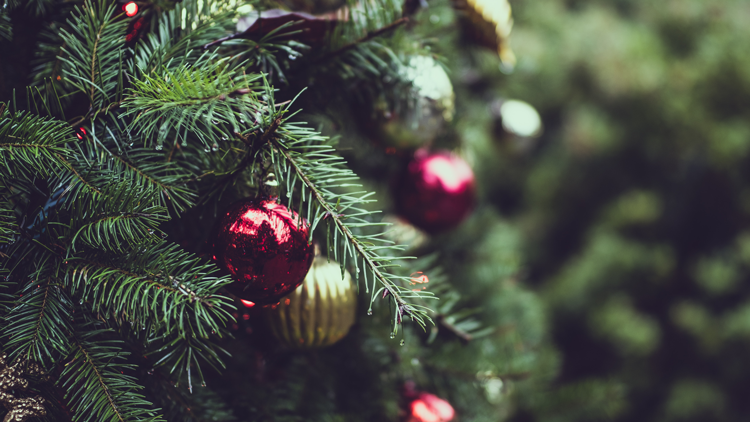 In addition to the regular attractions like pony rides, train rides and the petting zoo, you can embark on a hayride to the Christmas tree field. There, you can choose from four different types of trees then hop on the Choo-Choo Train that winds through the field. For over 25 years, families all over the Bay Area have celebrated the holidays with Little Hills Christmas Tree Farm. This family-run business in Petaluma opens the day after Thanksgiving and typically closes in mid-December. While you’re there, you can visit Santa, see the animal corral, shop in the gift shop, then choose and cut your own tree grown right on the farm. They also offer pre-cut trees shipped from Oregon. Family-owned by Paul and Debbie Garavaglia with their daughters Kellie and Jodi, Reindeer Ridge is sure to be the setting for your new holiday tradition. Their choose and cut trees are grown on acres of land in all varieties. In addition, they offer pre-cut trees, train rides for the kids, hayrides for the whole family, visits with the farm animals, weekend visits from Santa and more! Nestled in Half Moon Bay, Santa’s Tree Farm and Village has been a holiday tradition since 1972. On 487 acres, they grow six different kinds of trees and send you off to choose and cut your very own. 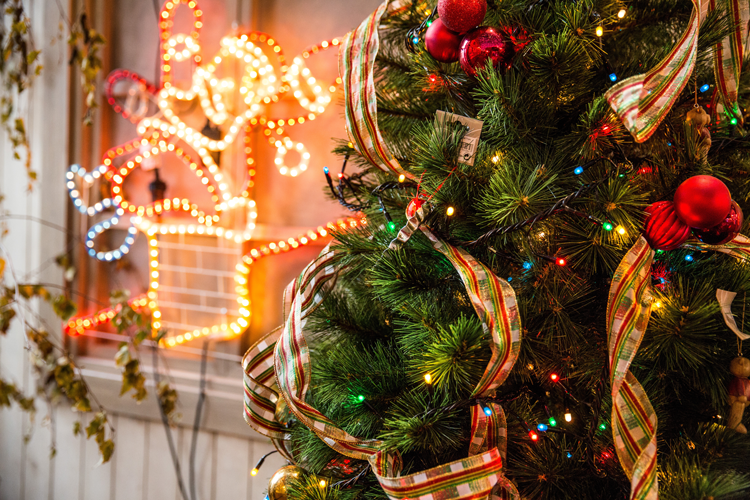 With every tree purchase, guests can enjoy complimentary cider, candy canes and visits with Santa. Additional entertainment includes train rides and shopping in Mrs. Claus Kitchen and Gift Shop. For a full schedule of hours and activities, check out the website. Locally owned and operated by Oakland natives, Wonderland Trees started as a family business in 2008 in the Temescal neighborhood and has grown to a total of four locations in Emeryville, Alameda, Redding and Tracy. They offer five different types of pre-cut trees as well as custom flocking, fire retardant, wreaths, online ordering and delivery, a four-story ship slide, a jumpy house and more.